The Summer is fading into the golden glow of Autumn and the kids are just starting back at school. I wipe the slime from Sebastian's nose. It's as if someone has flicked a switch and suddenly they all have coughs, colds and runny noses. Especially the little ones, the yucky gack just streams from their little noses and I feel like I'm constantly telling them to "blow!" It’s such a big part of kid’s health, but why do they ALWAYS have snotty noses? It is normal for children to get unwell. Coughs, colds, fever, vomiting and diarrhoea. As unpleasant as it is, their immune systems are learning to cope by themselves. When babies are born, they borrow an immune system from their mother. Antibodies are the things that fight infection and babies are born with lots of their mother's antibodies inside them. These maternal antibodies give them a good start in helping them fight infections. If they are breastfed, this affect is increased because there are antibodies in breast milk which also enter into the baby and help to fight infection. As the baby gets older, the antibodies that their mum gave them die away and the baby starts to make their own antibodies. However, this process takes time. Plus, the baby needs to come into contact with a bug in order to make the antibody. Each time they get an illness or a bug, their immune system increases its ability to recognise things as bugs. However, there are so many bugs around that just as they are getting over one, another comes along and they have to start over again. Sometimes it feels as if a child has been ill with the same bug for weeks and weeks, but normally it is several different bugs in a row. How many Coughs and Colds are Normal? There is no magic number but children who have a serious problem with their immune system normally end up in hospital very unwell. If this keeps happening, doctors may want to look at their immune system. 20% of the population have a very mild form of immune deficiency, they don't make enough of an antibody called IgA. 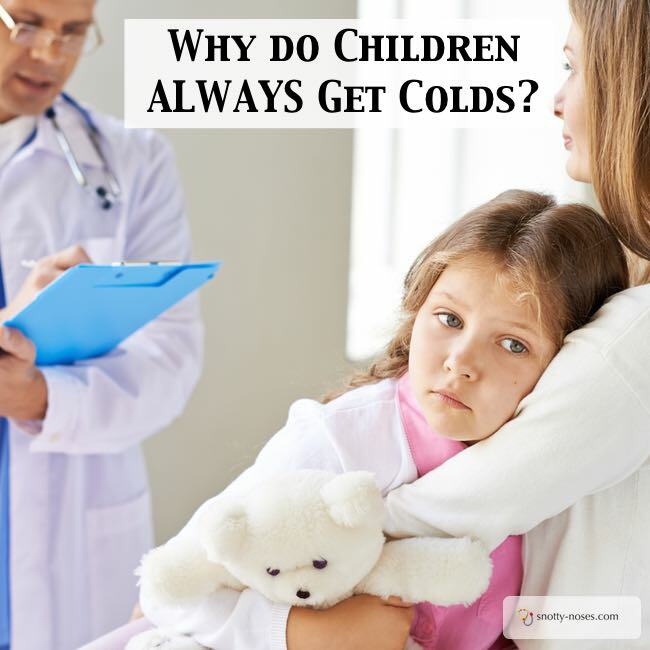 This means that they may be more susceptible to coughs and colds and other infections. But there isn't anything you can do about it so doctors don't normally test your levels. There are other causes of runny noses so if you think your child has more than a normal cough or cold, you should take them to the doctor. How can I Prevent my Child getting Ill? Children who are exposed to more bugs (go to nursery or have older siblings in nursery or school) will get ill more often. Washing hands is a very good way of preventing illnesses as a lot of bugs are spread by touch. 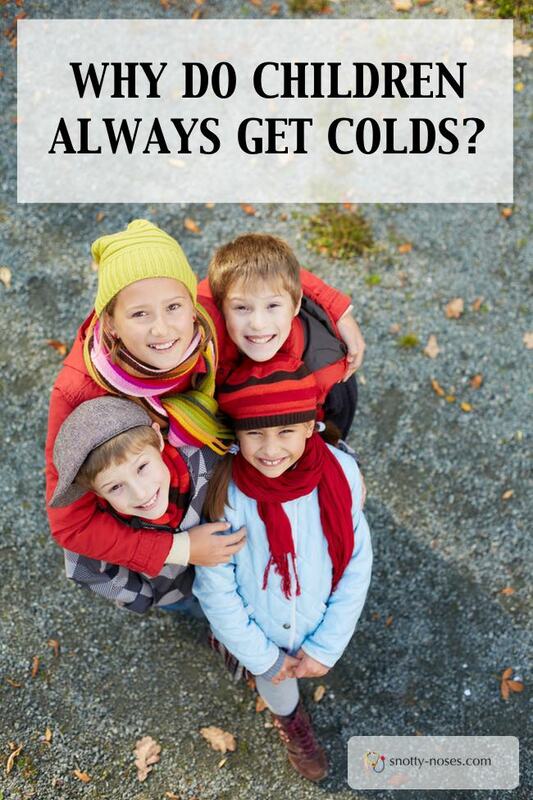 Children get coughs and colds and runny noses during the winter months, especially when they go back to that 'soup of germs' we call school or nursery. Mostly it's normal and the best thing you can do is to wash your hands frequently and teach them to wash their hands to prevent the germs from spreading. We are still working on the "blowing" skill. P.S. Why is my blog called SnottyNoses? All children, even really healthy children get loads of runny noses. My blog is called Snotty Noses to reflect that it’s part of being a child and growing up to have a snotty nose.